You will get 10 points (1 dollar) when you register our website. You can receive Loyalty Rewards Point when you promote our products and websites. You can also get loyalty reward points when you contribute to our website by other means. For example, writing any articles or making a video clips, etc for our website. Also you will receive the Loyalty Rewards Points when you make comments and reviews, etc on our website. Here is the further information about our Loyalty Rewards Points. You can use Loyalty Rewards Points immediately after you have received. Loyalty Rewards Points will be expired within 60 days after it was granted to you. 10 points is equivalent to 1 US dollar. Therefore, 1000 points is worth for 100 US dollar. You can use these rewards points to buy our products or to pay for signal subscription. However, we don’t offer you any cash for your Loyalty Rewards Points. You can further use this reward points to get discounts on any of our products. 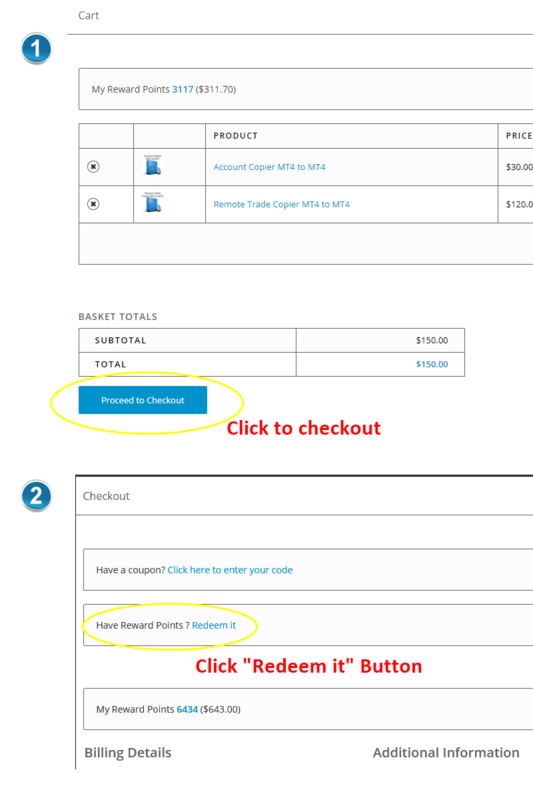 To do this, you can simply enter amount of reward points in your check out page. For example, if you enter 1000 points for redeem, then you can get 100 US dollar discounts on the purchasing price of the product. 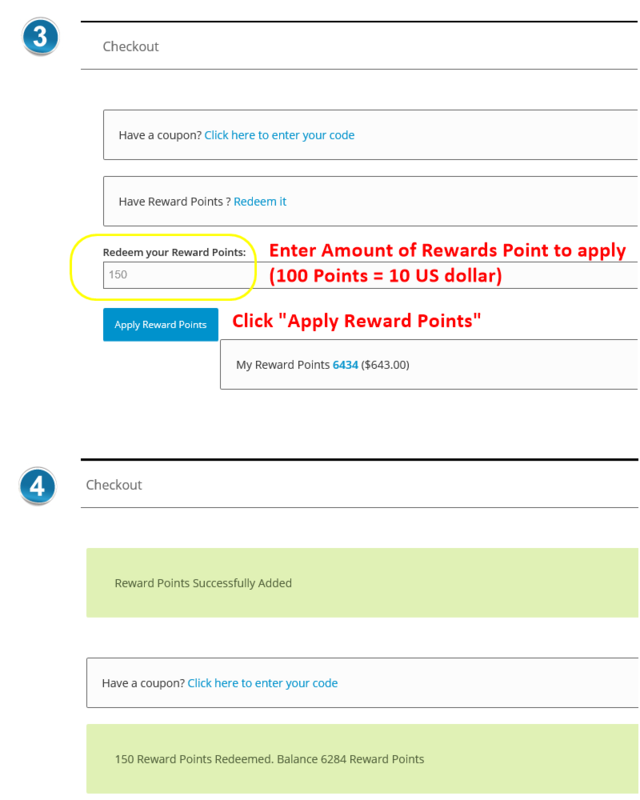 Below screenshots show the simple steps how to apply your rewards point.